1) The primary goal of cataract surgery is to safely remove your cloudy natural lens, or "cataract". 2) The secondary goal is to reduce, and potentially eliminate, the need for glasses or contacts. Continue reading to learn about bladeless laser cataract surgery, astigmatism-correcting lens implants, and multifocal lens implants. No-scalpel, no-needle, computer-guided cataract removal is less traumatic to the eye and allows for a more predictable procedure with quicker recovery. 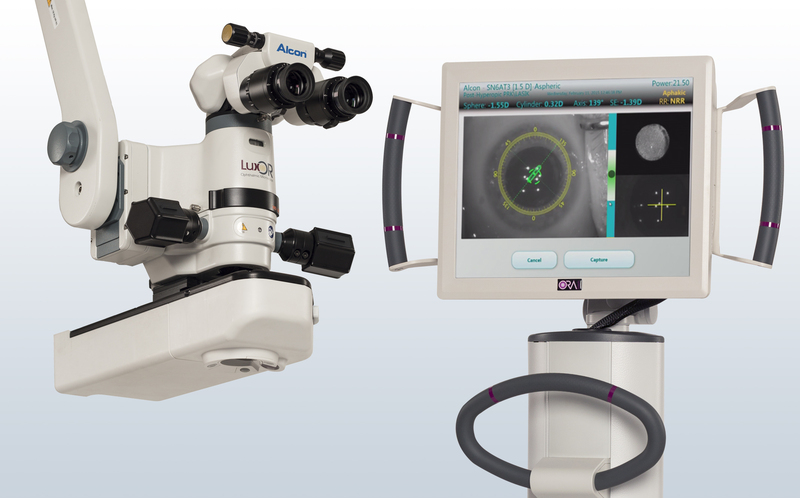 It allows for correction of astigmatism and more perfectly placed lens implants. Since insurance still considers laser cataract removal cosmetic, they pay for the standard procedure but there is an additional fee to offer this amazing technology. By the time you add up the cost of a lifetime of glasses or contacts that you may no longer require, the upgrade pays for itself. 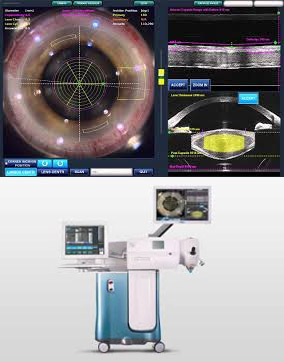 Using real-time intraoperative refractive error measurement, Dr. Carmack can determine your focusing error in real-time with constant analysis during the surgery - think of it as GPS for the eye. 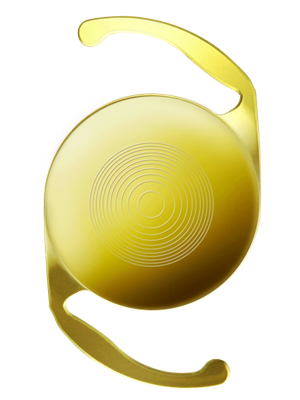 This enables him to choose the most accurate lens implant possible. This is very important on people who may have had LASIK, PRK, or RK as these prior surgeries can cause problems predicting the proper lens implant. The ORA System helps reduce that problem. The concentric rings allow you to focus at distance, near, and in between. Notice the 3 dots 180 degrees apart. These dots represent the axis of astigmatism power. We use a computer to align the lens and correct your astigmatism. 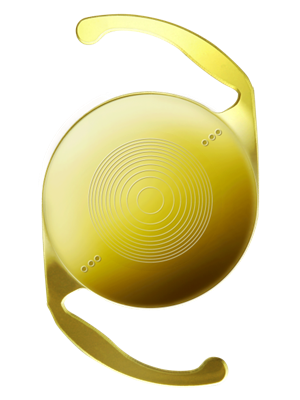 This lens combines BOTH astigmatism correction and presbyopia correction to allow clear vision at almost all distances. Get in touch to book an appointment, or ask Dr. Carmack any questions you might have.